This mouth-watering Fillet Steak En-Croute is the perfect main course for a barbecued Valentine’s feast! Place the butter and olive oil into a frying pan and place on a medium heat. Saut. the shallots and chestnut mushrooms for 10 minutes, until tender. Drain the porcini mushrooms, finely chop and add to the frying pan. Cook for a further 5 minutes and season with salt and freshly ground black pepper to taste. Remove from the heat and stir through the parsley and sun dried tomatoes. Sear the steak for 30 seconds on each side. Remove from the barbecue and allow to cool. Roll out the pastry to approximately 2 x 25cm squares. Reserve the pastry trimmings for decoration. Place the steaks in the middle of the pastry squares and top with the mushroom mixture. Take all four corners of pastry to meet in the centre and pinch together to make a seal. Pinch down each side closing the pastry as neatly as you can. Brush with egg wash and decorate with the pastry trimmings shaped into hearts. 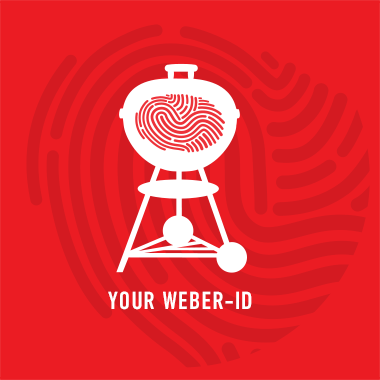 Add to a Weber. Style Grill Pan, lined with parchment. Place onto the barbecue and bake (in-direct method) for 20-25 minutes until the pastry is cooked through and golden. Leave to rest for 5 minutes and serve with a vine of barbecue roasted tomatoes, watercress salad and a crisp glass of champagne.